Our cardiothoracic CT drains and multiport connector offer greater patient comfort and promote earlier patient mobility over standard thoracotomy tubes. Use them for procedures such as CABG or OPCABG, valve replacement or repair, thoracotomy and lobectomy. The drains feature effective distribution of suction and ﬂow; their innovative design provides pathways around obstructions and silicone material for strength and softness. The entire length of each drain and tube is 19 Fr. The multiport connector offers connection for up to three wound drains with caps covering unused ports and allows for connection of Hemaduct® CT drains directly to standard chest drain unit reservoirs. 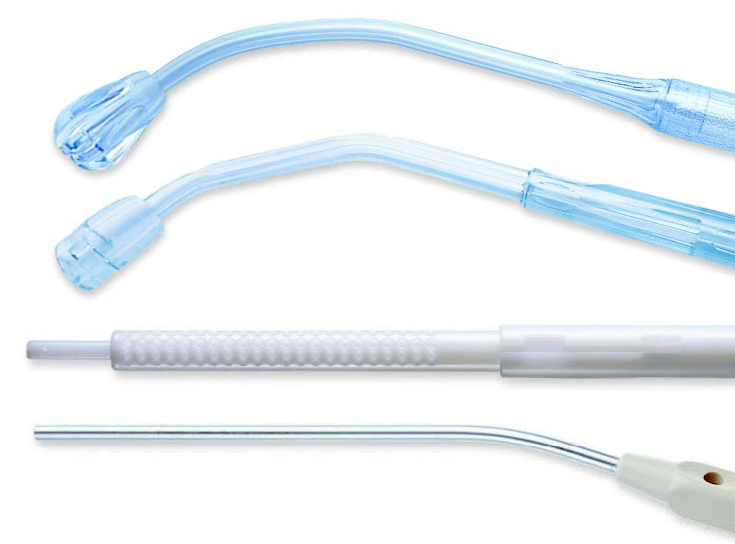 Medi-Vac® products offer a comprehensive line of sterile suction tubing and handles to meet your needs. Our wide variety of sizes and features support economy through standardization while maintaining quality and flexibility. Medi-Vac® sterile suction tubing is a cost-effective solution with the quality and reliability you need to remove fluids from the surgical field. Preattached tubing on our reusable polycarbonate canister/ bracket assemblies allows you to easily connect them to disposable Flex Advantage® liners. Choose from canisters with or without a built-in internal on-off valve. One canister per case. 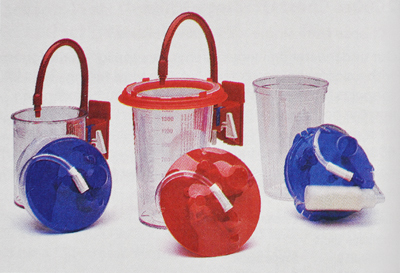 Our Medi-Vac® suction canister kits with preassembled patient or patient and vacuum tubing, lid and canister are available in your choice of three different canister types. 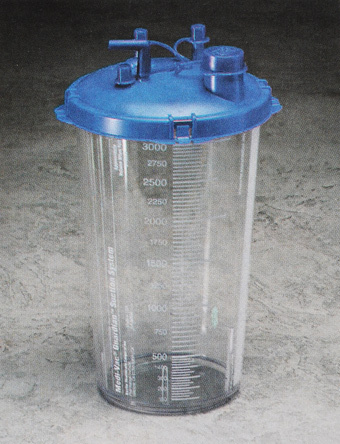 Patient tubing comes in various sizes and lengths. Custom kits can also be made to your speciﬁcations — call your sales or customer service representative for details.
. 1-piece liners reduce potential for breakage. Our liners are designed with safety features to provide maximum protection and ease of use during fluid collection, retention and disposal. 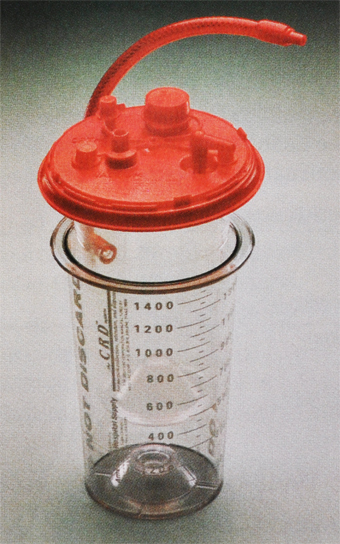 The large-bore patient port allows highly viscous fluids and bone chips to pass into the canister. The liners also include a one-way valve built into the inner lid at the patient port to help prevent backﬂow of fluid. The rigid outer canisters are reusable. Liners are available separately or in kits with nonsterile patient tube. 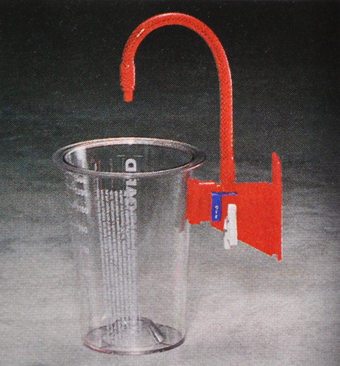 Our reusable polycarbonate canister/bracket assemblies have preattached tubing so you can connect them to disposable CRD T“ liners. Choose from canisters with or without built-in internal on-off valve. One canister percase. 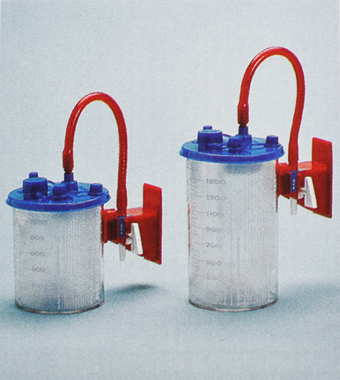 Our CRD” suction liners offer many features to satisfy all your fluid collection, retention and disposal requirements, such as an orthopedic port on the 1500 and 3000cc sizes; a thin, semirigid, seamless canister to minimize the possibility of contamination; and a locking lid to maintain a closed system. Liners fit into a hard, reusable outer canister. For information on the canisters available, call your sales or customer service representative for details. 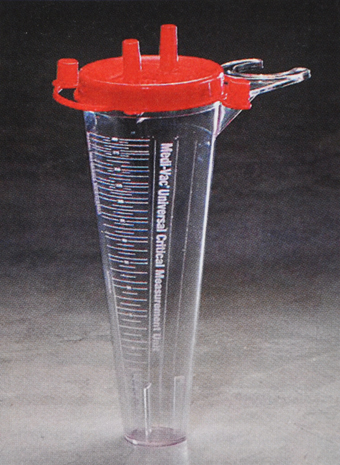 Our critical measurement unit delivers i5% accuracy at 25cc or greater and i1O% accuracy from O to 25cc, making it ideal for any application where small quantities of fluid must be measured accurately. The clear, precise graduations are easy to read, with calibrations from O to 300cc in 5cc increments. 50 units per case. 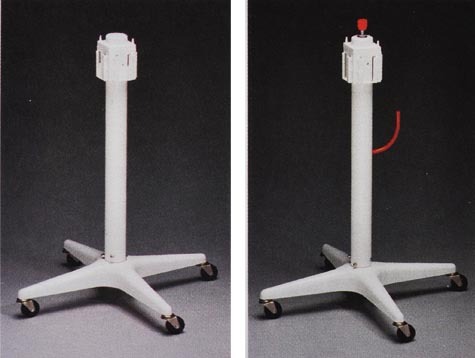 Our disposable hard canister systems are available in a variety of sizes for almost any suction procedure. 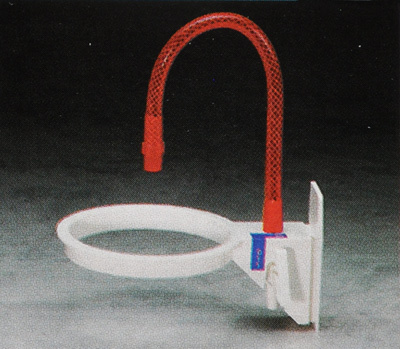 An automatic overflow shutoff valve is located inside the lid to help prevent cross contamination of regulators and wall vacuum outlets, and 90° adapters allow tubing to connect at right angles to help prevent kinking and impeded fluid flow. The locking lid on the 1200, 2000 and 3000cc sizes encourages the proper disposal of collected wastes and enhances worker safety. Accessory port and orthopedic port are included. 40 canisters per case. 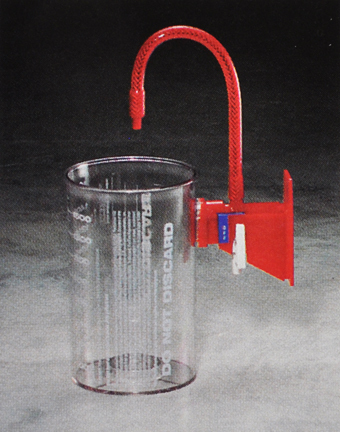 Our reusable polycarbonate brackets feature preattached tubing for connection to the Guardian canister. Choose from brackets with or without a built-in internal on-off valve. Choose from our manifolds for connecting one vacuum source to two, three or four canisters. Do not include on-off valve. One manifold per case. Our rolling carts give you flexibility in choosing where you want your Medi-Vac® canisters. They have four slide mounting locations for canister placements. Short Carts 65652-587 and 65652-597 are not compatible with 3000cc Flex Advantage® canisters. Choose from standard carts or carts with regulator mount. One cart per case.